Even as Israel hands even more land over to the Palestinians, there are persistent rumors that Hezbollah, Hamas, Syria and Lebanon are preparing for war against Israel. 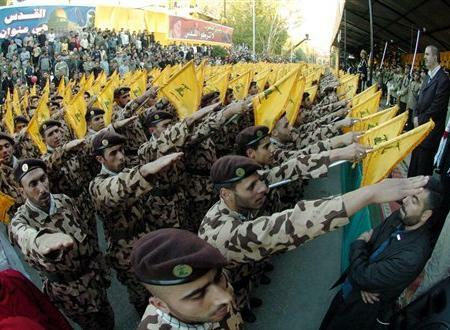 According to one disturbing new report by DEBKA, U.S. intelligence has discovered 5,000 Hezbollah terrorists that have been trained to take over and seize towns in Galilee during a future invasion of Israel. Apparently the invasion plans that have been drawn up involve sending five Hezbollah brigades sweeping across the Israeli border to seize key towns in the region of Galilee. Hamas would open a second front in the West Bank and Gaza, and Syria would then step into the conflict at that point. Think that it can’t happen? The truth is that Hezbollah has been arming to the teeth since the last war. Hezbollah has acquired chemical and biological warheads since then, and there have been reports that they have stockpiled over 40,000 rockets near the border of Israel. Just in the past few weeks, Hezbollah has deployed advanced Syrian-made surface-to-surface M-600 missiles which have the range to cover the entire nation of Israel. Hezbollah militants regularly receive training in Syria and Iran and the terrorist organization is essentially in control of large areas of Lebanon at this point. They are a highly organized and increasingly dangerous military threat. The United States government is even beginning to take notice. U.S. State Department official Jeff Feltman said in remarks published on Sunday that the U.S. is concerned that the continued flow of arms to Hezbollah could prompt a war between Israel and Lebanon. For years, Syria and Iran have used Hezbollah to wage a proxy war against the state of Israel, and Israeli officials are starting to get sick and tired of it. In fact, one top Israeli official recently made it perfectly clear that in the event that a war between Israel and Lebanon does break out, Israel would hold Syria just as responsible. The truth is that someday a conflict between Israel and Hezbollah will involve Syria and it will be an incredibly destructive war. Let us just hope that it does not happen any time soon. Meanwhile, Israel just keeps giving away their land to the Palestinians. Under what is being called “intense” American pressure, Israel has silently agreed to allow the Palestinian Authority to open official institutions in eastern sections of Jerusalem. This is an intermediate step towards officially giving the Palestinians East Jerusalem as the capital of a future Palestinian state. In addition, Palestinians sources said Sunday morning that Israel has agreed to hand over additional West Bank areas to the Palestinians as a trust-building measure. Apparently the intent is to coax the Palestinians back to the negotiating table. But don’t these politicians understand that they are cursing themselves when they giving away the land of Israel? Israel should not be giving away one square inch of the land that God gave to Abraham, Isaac and Jacob. But they are going to continue to do it. In fact, a Palestinian state is almost certainly on the way. But it won’t stop the war that is coming. Israel will not ever achieve peace at the negotiating table. It is impossible. The only time that Israel will experience lasting peace is after Yahshua (Jesus) the Messiah returns. What do you all think about these recent developments? Feel free to leave a comment with your opinion…. Iran is reportedly close to reaching a deal to clandestinely import 1,350 tons of purified uranium ore from Kazakhstan. This deal would be in direct defiance of U.N. Security Council sanctions. Reports also indicate that Iran is willing to pay approximately 450 million dollars for the shipment. The price for the shipment was apparently so high because of the need to keep the deal secret and because of the risk that the world community would find out about it. But now the world community has found out about it. So why is Iran willing to defy United Nations sanctions to get their hands on more uranium? Well, the truth is that Iran is probably running out of it and needs more uranium in order to continue their nuclear program at the same pace. 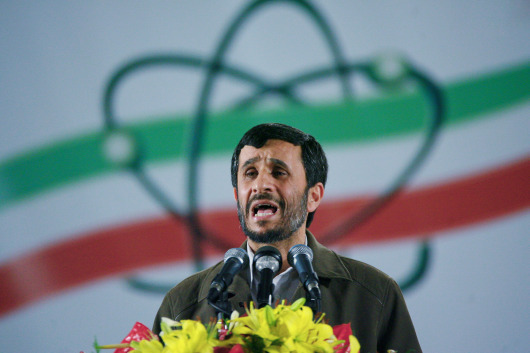 This comes at a time when Iranian President Mahmoud Ahmadinejad has dismissed a year end deadline set by the Obama administration and the West for Iran to accept a UN-drafted deal to swap enriched uranium for nuclear fuel. The United States and the other permanent members of the United Nations Security Council have threatened Iran with new sanctions if it did not accept a compromise deal by the end of this year. According to the plan brokered in October by the International Atomic Energy Agency, Iran is supposed to export low-enriched uranium to Russia and France which would conduct further enrichment for them. But Iran has publicly announced that they intend to do the additional enrichment themselves. Meanwhile, a maverick Iraqi politician is warning that Iran could “go nuclear” within weeks. In an interview earlier this month, Iraqi parliamentarian Mithal al-Alusi made the following statements…. Especially when you consider the implications. The truth is that Israel simply cannot allow Iran to have nuclear weapons. The Israeli government is keeping a close eye on the situation in Iran and realizes that they cannot allow Iran to proceed with their nuclear ambitions forever. In fact, Israeli Deputy Foreign Minister Daniel Ayalon said recently that the year 2010 will be a decisive year for Iran and its nuclear plan. Could that mean war in 2010 or 2011? What would happen if Israel did strike Iran’s nuclear program? Well, according to one new report, Iran would launch a counterattack on Israel and on all U.S. bases in the Gulf region if Israel does strike Iran’s nuclear facilities. If Iran did that, it could spark a massive war that could engulf the entire Middle East. The consequences of such a war would be mind boggling. But before resorting to a military strike, it is likely that the governments of the West will continue to try to promote an internal revolution in Iran. Changing the regime in that manner would be a lot “easier” for Western nations than a full scale war. However, the prospects for a successful internal revolution in Iran at this point seem dim at best. 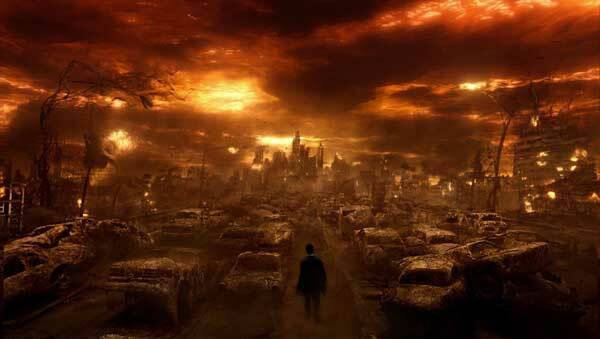 What does seem clear at this point is that Bible prophecy will continue to be fulfilled in 2010. We are truly living in the last days, and there are times when it will be absolutely terrifying, but who wouldn’t want to live during one of the most exciting times in all of human history? 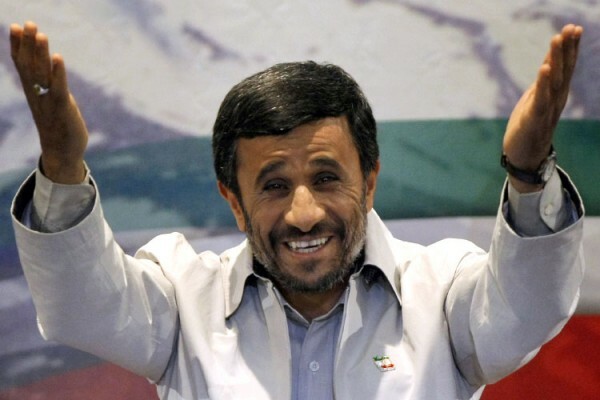 In yet another sign of how mentally unstable he is, Al Arabiya television is reporting that Iranian President Mahmoud Ahmadinejad is claiming that the United States is attempting to block the return of the Mahdi. Shi’ite Muslims (and some Sunni Muslims) believe that the Mahdi will be revealed during a time of great crisis and will rid the world of error, tyranny and injustice alongside Jesus. 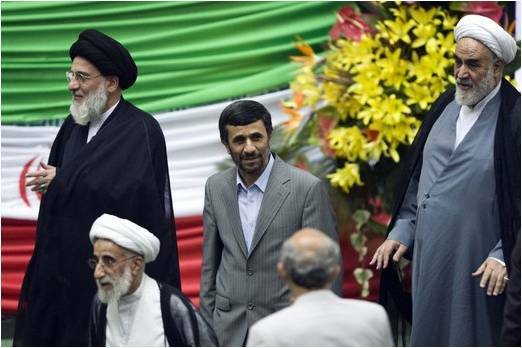 Ahmadinejad has spoken frequently of the Mahdi in the past. He is apparently a true believer in this messianic figure. Now Ahmadinejad has taken things to an entirely new level by claiming that the United States government is actively trying to block the arrival of the Mahdi. 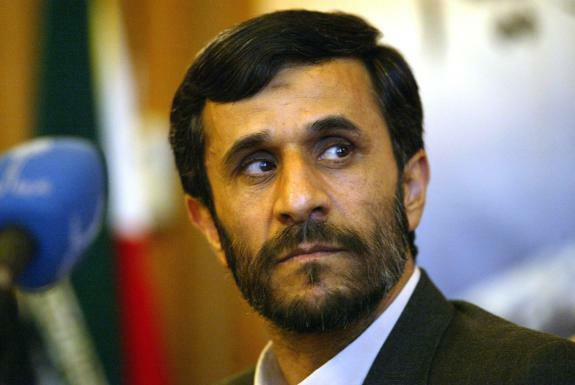 Fox News is reporting that Ahmadinejad made the following remarks about the United States during a speech on Monday…. “We have documented proof that they believe that a descendant of the prophet of Islam will raise in these parts and he will dry the roots of all injustice in the world”. 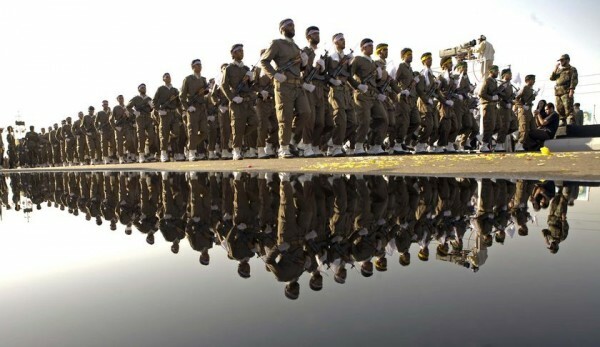 They are also reporting that Ahmadinejad stated that the United States is coming against Iran because “they know” that Iran is the nation that will prepare the way for the Mahdi’s coming…. So, according to Ahmadinejad’s way of thinking, what would be the logical thing to do about a Satanic nation that is actively trying to prevent the arrival of the savior of mankind? Would it be logical to do everything possible to destroy them? This is yet another reason why Iran cannot be permitted to acquire nuclear weapons. You see, Ahmadinejad is obsessed with the coming of the Mahdi and will do whatever he can to help bring it to pass. They believe that he is still alive somewhere on earth and will be revealed when the time is right. 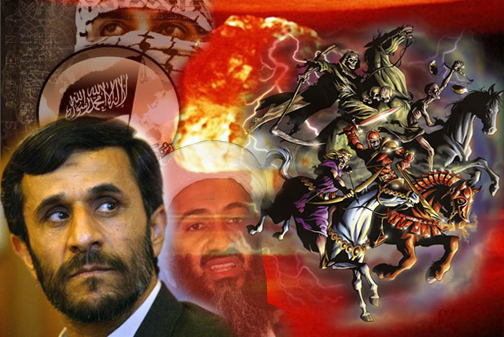 Ahmadinejad is convinced that the time for the arrival of the Mahdi is near. It would be a huge mistake to underestimate what Ahmadinedjad is willing to do in order to “prepare the way” for the Mahdi. But Ahmadinejad is not the only world leader with expectations that a messianic figure will soon arrive. As we covered in our recent article entitled “Will The Messianic Expectations Of All Major World Religions Pave The Way For Antichrist?”, all of the major religions of the world are expecting “a messianic figure” to arrive soon. Could the Antichrist one day exploit these expectations to establish his rule over the entire world? We are truly living in the last days. Praise God that we get to live during this time when Bible prophecy is literally coming to life right before our eyes.